Ativan, or the generic drug lorazepam, is a benzodiazepine that works as an anticonvulsant, a sedative, a muscle relaxer, and an anxiolytic or antipanic agent. In use since the late 1970s, lorazepam (Ativan) is an effective short-term treatment for anxiety and has also proven beneficial to patients suffering from other conditions. It also has amnesic properties and can prevent nausea and vomiting. This wide range of medicinal effects makes Ativan a multifunctional drug that can treat a variety of conditions. It also makes lorazepam a popular drug for recreational use and criminal activity, especially considering its potential for addiction. Lorazepam received FDA approval in March 1999. 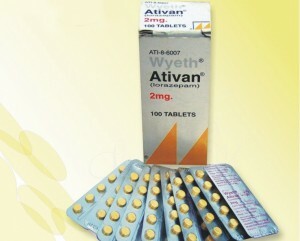 It is marketed under the brand name Ativan but is also available as a generic drug. It is a prescription medicine and is dispensed in tablet form (0.5, 1, and 2 mg), oral solution (2mg/ml) and intravenous injection solution (2 mg/ml and 4 mg/ml). It is presently manufactured by Biovail Pharmaceuticals. Meanwhile, there are other pharmaceutical companies such as Actavis, Mylan, Ranbaxy, Sandoz, and Teva that manufacture and distribute lorazepam, the generic form of Ativan. Originally used to quickly and effectively treat anxiety attacks, lorazepam is now recognized for a variety of medicinal benefits. It is often used as an oral or intravenous sedative for awake surgical procedures and is useful in intensive care situations as well. The anticonvulsant properties make it an effective treatment for epilepsy, but the tolerance and dependency related side effects of Ativan make it better suited for the treatment of acute seizures rather than long term use. Other uses include the prevention of withdrawal symptoms in the treatment of alcoholism, catatonia treatment, and to ease nausea and vomiting in chemotherapy patients. Lorazepam is also used in situations that require the rapid sedation of violent or aggressive individuals. 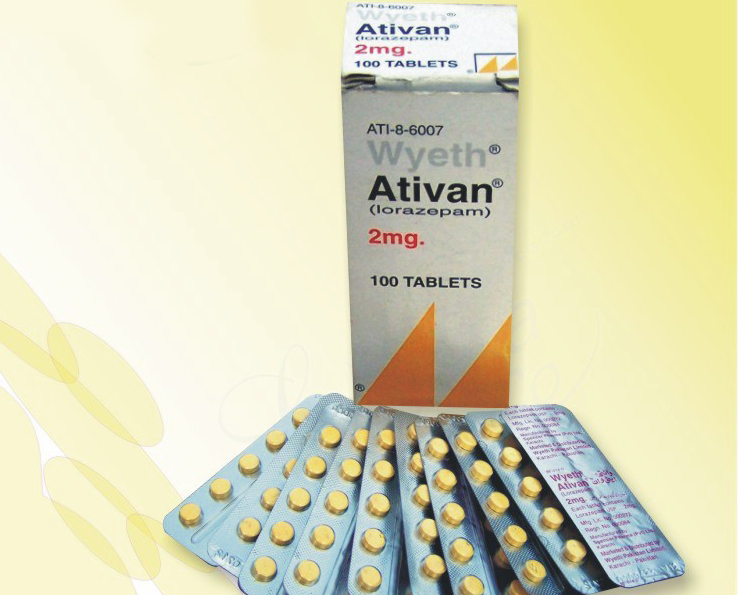 Ativan is a central nervous system (CNS) depressant that belongs to the group of medications called benzodiazepines. Some of the drugs under this drug classification include alprazolam (Xanax), clonazepam (Klonopin), chlordiazepoxide (Librium), clorazepate (Tranxene), diazepam (Valium), and oxazepam (Serax). Drugs belonging to the benzodiazepine family work by slowing down the conduction of nerve impulses in the brain resulting in relief of anxiety. It is thought that anxiety, as well as other psychological disorders, is caused by excessive activity of nerves in the brain. Meanwhile, Ativan and other benzodiazepines affect neurotransmitters (brain chemicals) that send messages from one nerve to another. More specifically, this group of drugs boosts the inhibitory effects of a neurotransmitter called Gamma-Aminobutyric Acid (GABA) thereby reducing the symptoms of anxiety. Ativan is metabolized quickly in the body. In some patients, symptoms of anxiety are relieved almost immediately (usually about 30 minutes after taking Ativan). It is for this immediate response that this drug is given to patients suffering from status epilepticus (prolonged seizure). And since this drug is rapidly metabolized and excreted by the body, there is less chance for drug toxicity. Furthermore, unlike other benzodiazepines, Ativan has fewer drug interactions. Take Ativan exactly as prescribed by your healthcare provider. Do not increase the dose or take the medication for longer than recommended. Do not take Ativan if you have known allergies to lorazepam or other benzodiazepines (as mentioned above). Do not use Ativan if you are pregnant or plan to be pregnant. This medication can cause birth defects in the fetus. Tell your doctor any underlying medical conditions such as kidney or liver disease, glaucoma, and breathing problems, as well as history of substance abuse, depression and suicidal thoughts. Avoid taking other medications especially those that induce sleep. Do not consume alcohol while taking this medication. Ativan can potentiate the effects of alcohol. Do not discontinue Ativan unless instructed by your healthcare provider. Do not share Ativan with anyone else. Take this medication only when directed. Store your medication in a secured place so that no one can get access to it. Gabapentin is a generic drug that was originally designed for use as an anti-convulsant, or an agent that decreases the incidence of seizures. Valium (diazepam) is a benzodiazepine in the same category as medications including xanax, librium, ativan and klonopin. These drugs are all central nervous system depressants (CNS depressants).